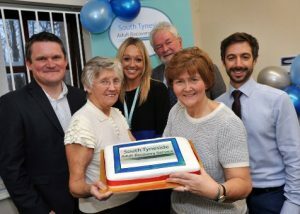 Humankind Area Manager, Amy Cummings, said: “We were joined by numerous local partners and stakeholders who came to share, coffee, cake and ideas on how we can further develop and enhance multi-agency working in the South Tyneside area. South Tyneside councillor Tracey Dixon, Lead Member for Independence and Wellbeing, said she had been impressed when she toured the service, which is based at Cookson House on River Drive, just a short walk from the town centre. The service began in April this year.